Every electioneering year, Kenya’s economy is always on the receiving end with billions of shillings going down the drain due to political uncertainties. This year alone, Kenya is said to have lost more than 1.4 trillion shillings in a span of just four months with the private sector parting with 0.7 trillion shillings. The most affected sector this electioneering period has been the small medium and enterprise sector (SME) with thousands of them having to close down. There are some areas in Kenya where, during the election period, the risk in doing business is more than that of the person trading in Kismayu or Mogadishu in Somalia. Investors are now rethinking of investing in some parts of Kenya when politics are at its peak. Kisumu tops the list of areas that are dangerous to business during a politically charged season. The county experienced numerous political demonstrations with property worth millions having been destroyed. Siaya, Migori and Homa Bay are also among the places that business often receive a hit during elections. 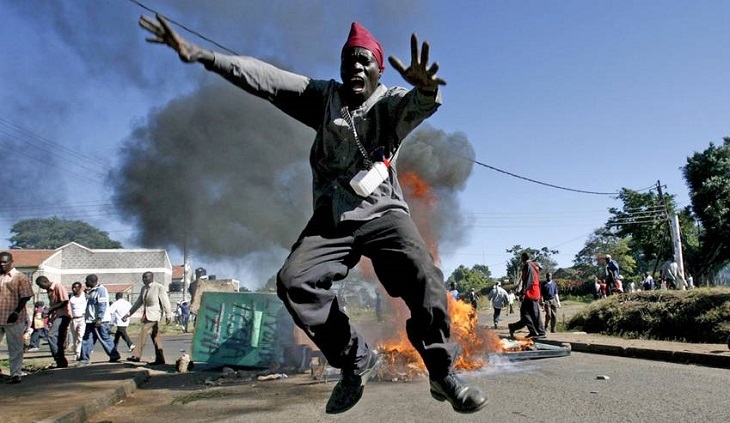 Nairobi is generally safe except in the slum areas of Mathare, Kibera, and Kayole which often witness political demonstrations and destruction of property during elections. According to most businessmen, almost all counties in the central part of Kenya are safe to do business during elections. These counties include Kiambu, Nyeri, Tharaka Nithi and Kirinyaga. Most counties on the Kenyan Coast are generally safe as far as politics are concerned together with Bungoma, Kakamega and Busia Counties.